If you haven’t checkout out my video “What to do when he goes hot then cold.”, then I highly suggest you add that to your weekly bucket list. It’s a heady feeling when we meet a guy that we actually connect with. Let’s face it, having an awesome date is an exciting thing and it already makes us crave the next one. But what happens when after some time, he starts to go a little distant? You know that yucky feeling we get in our gut that says “hey girl this ain’t normal, that boy is acting weird? !” …to which if course we ask him directly “Is everything alright?” and in which he replies “yeah, all good …” Which is translation for not good at all. We usually go into panic mode and start chasing him, and putting in even more effort or spend time convincing and justifying, much to our disadvantage. 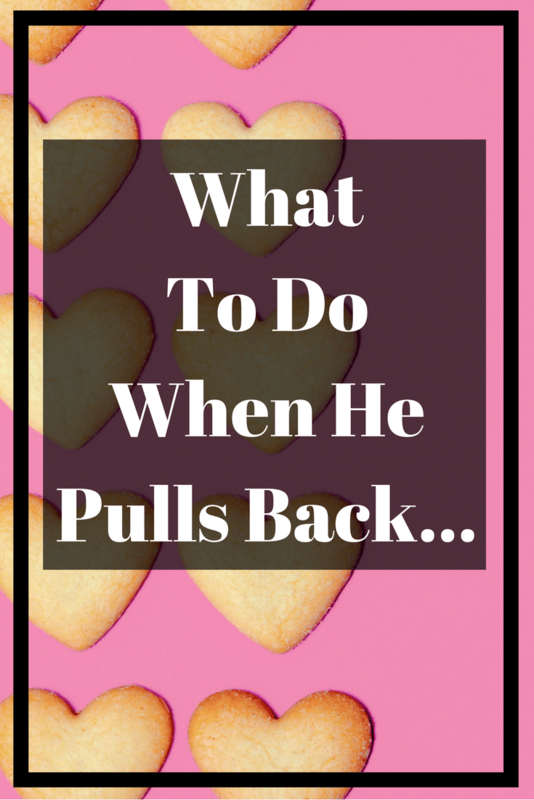 So, what if I could literally tell you what to do to get him to NOT pull back…but when he does what to do and say to get him to COME back? You see the brilliant part about my job is that I work with male clients. So, I get to hear first-hand their side of the story. This isn’t about manipulation or playing games, it’s about understanding how men work and not letting your own fears and natural emotional reactions get the better of you in this situation. 1:“Ok no worries at all, have a great week.” – The cool, calm, classy woman. – The woman who has a purpose outside of him. Now clearly you can see there is a massive difference between these negative and positive responses. One is based on insecurity and the other is on self-worth and confidence of what she knows a healthy standard should be. Next Entry The art of love!